Sure, you can go out and buy potatoes at the grocery store, but for many gardeners, the wide variety of seed potatoes available through catalogs are well worth the challenge of growing potatoes. Nonetheless, issues like potato scurf do happen. 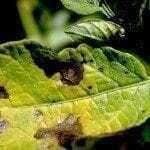 Potato scurf disease is among the tuber diseases that you won’t know you have until harvest time or beyond; although your potatoes are physically blemished, silver scurf in potatoes doesn’t usually cause foliage symptoms. Potato scurf is an infection of the skin of developing tubers caused by the fungus Helminthosporium solani. Although this disease wasn’t widely recognized until the 1990s, it has quickly become a problem for potato producers everywhere. Even though the fungus is usually confined to the epidermal layer of the potato tuber, it can damage the internal tissue that’s in direct contact with infected skins. 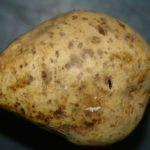 Infected potato tubers develop well-defined, tan to silver lesions that may join as they spread across the potato’s surface. Smooth-skinned potatoes are at a much higher risk from potato scurf disease than russet potatoes — lesions are much more visible and active on their thinner skins. Scurf in potatoes doesn’t affect their edibility, provided you cut the damaged portions away before cooking. After some time in storage, though, the skins of scurf-infected potatoes may crack, causing the internal tissues to lose water and shrivel. Potato silver scurf control efforts should be aimed at preventing disease, and once a potato is infected, there’s little you can do to cure it. Many seed potato sources are contaminated with silver scurf, so learn to identify this disease before sorting your seed potatoes. 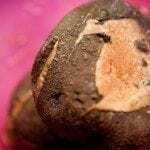 Throw away seed potatoes with significant lesions. 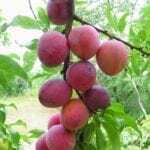 Although scurf can remain in the soil up to two years, the primary form of this disease comes from other infected tubers. Wash and treat seed potatoes with thiophanate-methyl plus mancozeb or fludioxonil plus mancozeb before planting to prevent any ungerminated scurf spores from becoming active. Don’t waste your efforts on badly infested tissues — chemical treatment is a preventative, not a cure. Crop rotation is vital to breaking the life cycle of H. solani; putting your potatoes on a three or four year rotation will allow scurf to die off between potato crops. After planting, monitor moisture levels carefully; harvest tubers early and remove any volunteer potatoes when they appear. Thorough tilling or double digging can unearth forgotten potatoes that may be harboring silver scurf, as well. While your potatoes are growing, pay special attention to their care — healthy potato plants that live up to the day you dig them reduces your risk of scurf. Read more articles about Potatoes.